The August Bank Holiday is almost here, and that means its time for Notting Hill Carnival! 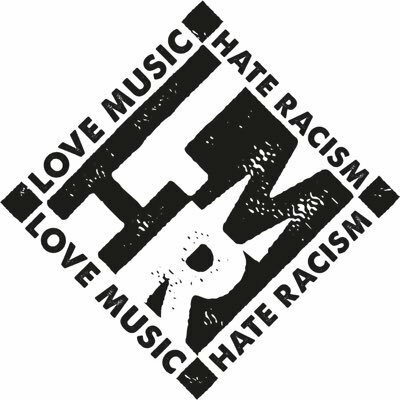 With the hostile environment that has continued to fuel anti-immigrant rhetoric, the continuing fight for justice for Grenfell, the Windrush Generation crisis, and the rise in racialised hate crimes–Carnvial’s legacy is more significant than ever. Carnival embodies, celebrates and highlights the positive impact the diversity and multiculturalism has made. This is who Boris is. He’s shown us time and again that he has deeply-held racist views. From his time as a journalist when he mocked African children, right through to his race-based attack on Barack Obama during the Brexit referendum. When the media say, “it’s Boris being Boris” they’re playing right into his hands, providing an excuse for his unacceptable actions. We’ve had enough of this. It’s time to take a stand. 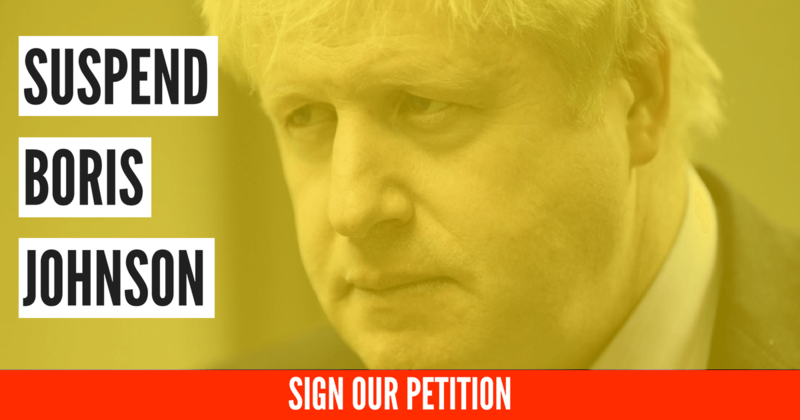 Over the next few days, we’re going to be gathering signatures for our petition to demand the Tories remove the whip. 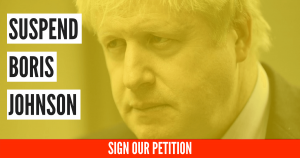 If they don’t, we’re going to get organised in Boris Johnson’s constituency, to get the word out about his disgusting views to key voters in the area who could cost him his seat at the next election. Time is up on the Boris Johnson “act”. We’ve had enough of his loud-mouthed, unashamed racism. If you agree, sign the petition, spread the word, and look out for news about our campaign in his constituency. 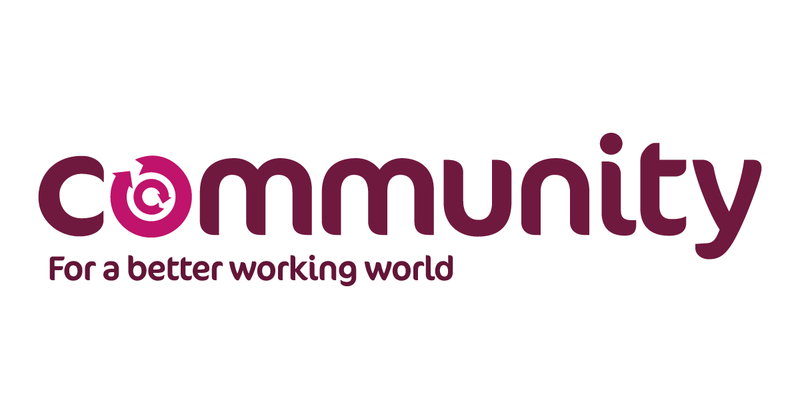 LUS continues to support and develop community groups around London. Since the last LESE meeting we have delivered training on the latest Universal Credit updates for Waltham Forest Stand Up For Your Rights, Barnet Unite Community and Clapham Foodbank. We continue to support the development of an Islington SUFYR group and maintain intensive work with the Southwark Know Your Rights group where we recently ran a film event at the BFI for group members plus Southwark and Lambeth Unite Community. The topic was council housing and social cleansing as brilliantly portrayed in the film ‘Dispossession’. There followed a Q and A and some OF those watching were inspired to go on straight afterwards to a lobby of MPS at the House of Commons on this very topic. This is a testimony to the quality of training LUS provides and the efforts of members who are growing in confidence and expertise through their participation in our groups and by hands-on experience. Over the last few months, LUS has involved claimants directly in a number of forums aimed at making systemic changes to the Welfare State. They have participated alongside senior officers from major voluntary sector organisations, including Child Poverty Action Group, Disability Rights UK, Refugee Council, The Children’s Society, and Women’s Aid. 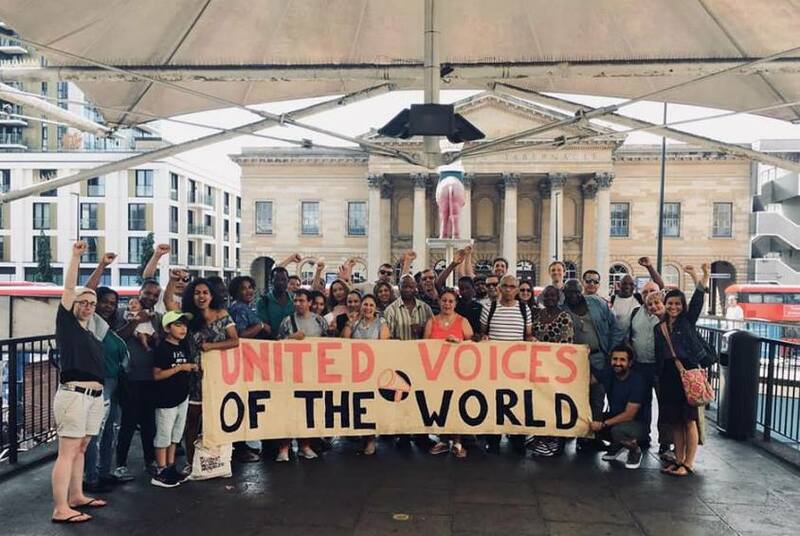 In July some of our members accompanied me to a seminar on ‘ Strengthening the voice of people with lived experience in campaigns for social change’ where they all made significant contributions. Incidentally this has also led to an encounter with the Joseph Rowntree Foundation who were sufficiently impressed with our work to arrange a day’s visit in September to explore how they might be able to support our claimant-led projects in the future. 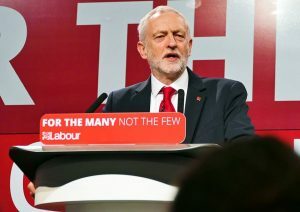 The other forums include ‘The Future of Social Security’ which will shortly finalise its guiding principles underpinning what a more humane benefits system would look like (possibly with the aim of a media release in time for the November Budget); and the White Paper committee (to be launched in October) which will develop a Bill for Parliament, taking the guiding principles as the starting point and therefrom developing legislative detail. We have now drawn up a new Claimants Survey on these issues which is aimed primarily at people on Jobseekers Allowance, Employment and Support Allowance and/or Universal Credit. This will be circulated to you separately via the TUC LESE mailing system. Therefore if you know of any eligible people please pass it onto them with a request that it be completed and returned as soon as possible. The collected responses will be collated, analysed and published as per the previous Claimants Survey of 2014. Also importantly the results will feed into the above-mentioned forums and so will add further weight to their campaigns for major change to the benefit (and benefits) of claimants. Inevitably as with the last Survey, when claimants are asked to be open and honest about their experiences of their local Jobcentre and the DWP in general, many will voice strong opinions that in part will include criticisms of local staff. This is why LUS continues to strive to develop links between claimants and the major trades unions that work with or for them – notably Unite Community and PCS. Starting from the standpoint that the pressures upon both claimants and staff have a common cause which we should all unite to fight against, this means that claimants complaints can be dealt with in a way that channels them through a united front against the bureaucracies and politicians that are the root cause of the problem. The recent campaigns connecting PCS staff, claimants and community organisations against Jobcentre closures in Leytonstone and Southall are great examples. 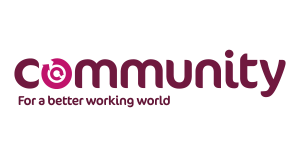 To this end, LUS is keen to continue to provide various forms of training and support to Unite Community branches in London through liaison with the new Regional Coordinator (current incumbent David Condliffe is leaving at the end of August). We have also had confirmation of our attendance at the next All-London PCS/DWP stewards meeting in September where we shall have further discussions about how to build upon the links already established. Our Annual General Meeting will t ake place this year on September 8th in London. It will look at the belligerent policies of the Trump administration, including the development of a new US “national security” strategy and of the new Nuclear Posture Review, which open the possibility of using nuclear weapons in conflicts with non-nuclear countries, and of deploying “smaller” and more precisely targeted “tactical nuclear weapons”. The conference will also look at Britain’s continuing wars. Stop the War’s AGM is part of the regular democratic process of the Stop the War Coalition and is the place where we decide policy and elect our steering committee for the coming year. It is also a great place to meet fellow campaigners and exchange ideas and practice. The conference is open to all paid up members of Stop the War, who have voting rights. Stop the War’s local groups can send up to 4 delegates each, and affiliated organisations 2 delegates. All have full voting and speaking rights. Groups and affiliates can propose one resolution each. The date for the new members to join and attend the conference is 25th August 2018. Join now so you can attend the conference. We need to strengthen anti-war voices and to organise against what our government is doing. Please book your places now. 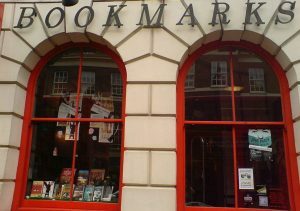 The attack on Saturday by far right extremists on the TUC’s bookshop Bookmarks in Central London shows that these people are gaining in confidence in the wake of Tommy Robinson’s release on bail. Ex leader of the violent and racist English Defence League and former BNP member Robinson has become a rallying point for the whole of racist right, with money flooding in from the US Alt-right to back him. Across the spectrum Nazi groups, Alt-right figures, the Democratic Football Lads Alliance (DFLA) and UKIP believe they can build a racist movement in Britain just like their friends in the US and Europe have done. The ‘free Tommy’ campaign was marked by a rising levels of violence as anti-racists and trade unionists have been attacked by his supporters. 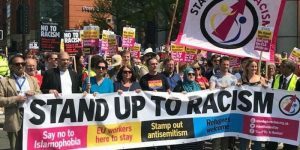 Stand Up To Racism has launched an important statement opposing the Robinson and the growth of the far right signed by MP’s, trade unionists, campaigners and faith leaders. You can add your name here please share it widely for others to sign. 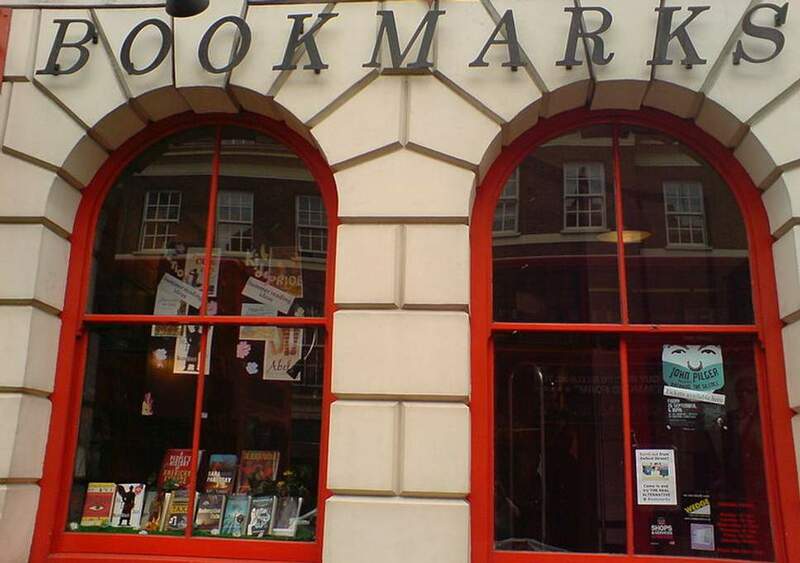 Now in true Nazi style they’ve turned on a bookshop! The images of book burnings in Germany from the 1930’s show where all this can end up. 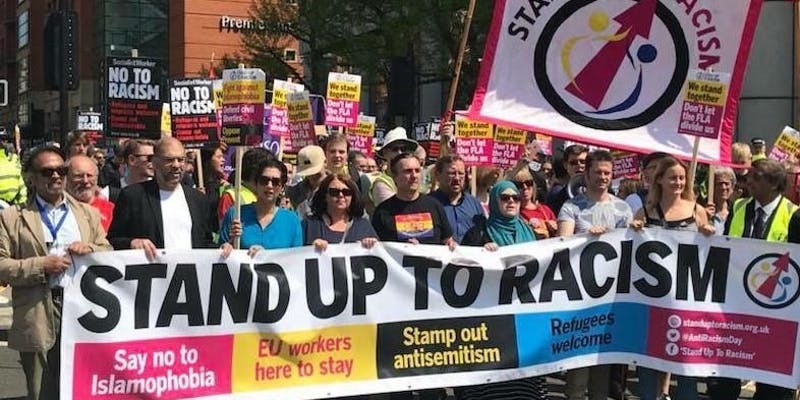 TUC General secretary Francis O’Grady said; “This is another sinister reminder of the grwoing confidence of the far right”.